* Tan Italian real leather match. 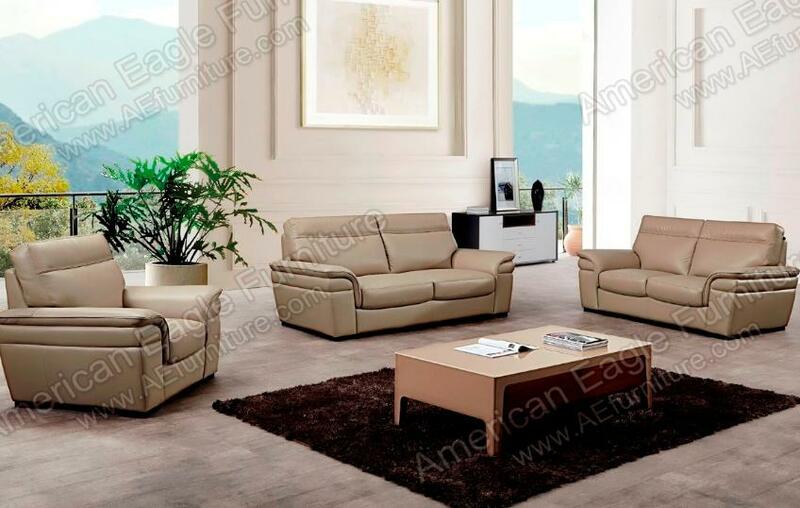 * This is a 3-piece sofa set including a sofa, loveseat and chair. * Upholstered with Italian leather in neutral tan color.